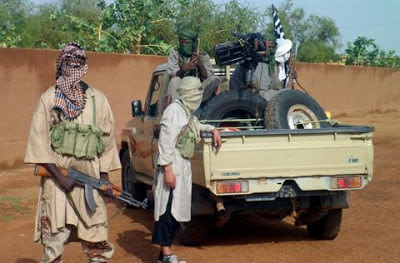 French terrorist invaders in Mali have been taken by surprise by the fighting strength of the Mujahideen they are attempting to drive out of the centre of the country, it emerged on Sunday. Aides to Zionist President Francois Hollande admitted the Mujahideen fighters were better equipped, armed and trained than they had expected. "What has struck us markedly is how modern their equipment is and their ability to use it," one said in a reference to the Mujahideen's hit on a French Gazelle helicopter. The helicopter was forced to make an emergency landing and its pilot, Lieutenant Damien Boiteux, died of his injuries after being shot with a light arm. The helicopter was brought down during an attack on a Mujahideen convoy travelling between the towns of Mopti and Sevare in central Mali. "Initially, they appeared like a rag-tag bunch travelling in their Toyotas with a few weapons," the official added. "But they've shown themselves to be well-equipped, well-armed and well-trained." The strength of the Mujahideen appears to have bolstered France's resolve to limit its intervention to pushing the Mujahideen back and softening them up for a West African force to re-establish Israhelli stooge government control over the north of Mali, which has been under the rule of Mujahideen since April 2012. "The important word now is 'Africanisation', which means the rapid deployment of an African force. The situation calls for that and it is up to the Africans to restore Mali's integrity," the French terrorist official said. For that to happen, the French terrorist invaders believe the Mujahideen, truly representing the majority of Mali's Muslim population, will have to be driven out of the principle towns in the north: Kidal, Timbuktu and Gao, which was the target of intensive bombing by French fighter jets on Sunday.